Cuban cigars are a perfect Miami keepsake, and Little Havana is the ideal place to shop. 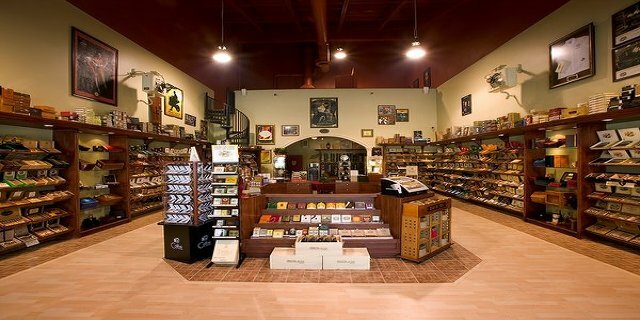 There are several well-known cigar shops in the area, which cater to customers who truly care about the craft. At certain shops, master rollers even work on-site. Fortunately, there are also plenty of bars where cigar aficionados can go to enjoy their purchases. You’ll never be far from an authentic Cuban cigar on Little Havana’s Calle Ocho (8th Street). A local favorite is El Titan de Bronze, known to their on-site master rollers and quality selection. Sabor Havana in Coral Gables is the closest things to a cigar warehouse. It is known for its huge cigar variety, including an in-house brand. Two locations are in Miami, with another a bit further north in Palm Beach Gardens. A local staple throughout Miami Beach is Deco Drive Cigars with four locations in South Beach alone. The Lincoln Road location is a particular favorite, doubling as a shop and bar, serving snacks and drinks until late. Away from the glitz and glam of Miami Beach, Havana Lights Cigar Lounge offers a laid-back atmosphere. Somewhat more of a cigar-friendly living room, WiFi is offered throughout the lounge, and patrons watch live sports and play pool and billiards. BYO cigars to the nightclub-esque Aromas of Havana in North Miami Beach, or purchase from their extensive international selection. . Aromas is one of, if not THE cigar bar, where celebrity sightings aren’t unusual. An offbeat option for smokers is not a cigar bar, but a local top-notch restaurant. At Smith & Wollensky on Miami Beach, cigar lovers can enjoy the views and fresh air while smoking one of the 10 options sold by the restaurant.